Raised foundation issues (also known as crawl spaces) are a significant and costly problem in their own right; but left unaddressed, even the most minor foundation damage can lead to much more extensive (and more costly) repairs down the road. Luckily, there are quite a few warning signs when your foundation starts to cause problems, and it takes just a few minutes for you to scan your property for each of them. Here are 7 of the most common signs of foundation problems. Doors and windows that start to stick or won’t open/close properly. 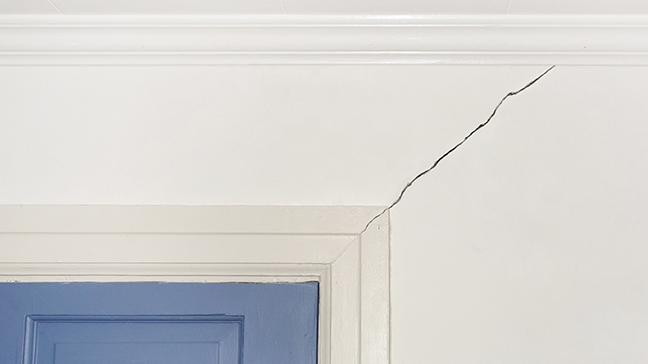 Sagging, uneven floors or ceiling cracks. Crumbling, cracking, or otherwise deteriorating stem wall. Gaps between the chimney and the house. If you’ve noticed any of these signs, or are unsure about your home’s foundation, then schedule a checkup today!